Within the next four to five months, the P9 billion Bohol Panglao International Airport (BPIA) will be awarded to Aboitiz Group which is the lone company to file its intention to operate the new facility. Jimbo Reverente, vice president of Aboitiz Infra Capital said their bid to manage and operate the airport is now in the process of evaluation with an inter-agency body chaired by the National Economic Development Authority (NEDA). Their assumption of the airport operations will commence as soon as they will get the nod from the government agency tasked to evaluate their company’s capacity to efficiently run an airport terminal. He breezed into town last Thursday to brief the board of the Bohol Chamber of Commerce & Industry, Inc (BCCI) on the status of the much awaited turnover of the new airport from the Civil Aviation Authority of the Phils (CAAP). He arrived together with Vincent Tan, assistant vice president of Aboitiz Equity Ventures and Angelo David, manager of Aboitiz Infra Capital. The chamber headed by businessman Al Uy was inquisitive as to the formal takeover of a private entity in the operations of the international airport amid mounting complaints which could not be addressed properly by CAAP as the government agency tasked to look into the airport’s operation. NEDA Sec. Ernesto Pernia when informed by the Chronicle of the complaints said he will have the process monitored so to expedite the turnover. Barring any unforeseen circumstances, he expects the turnover from CAAP to Aboitiz by June or July this year. 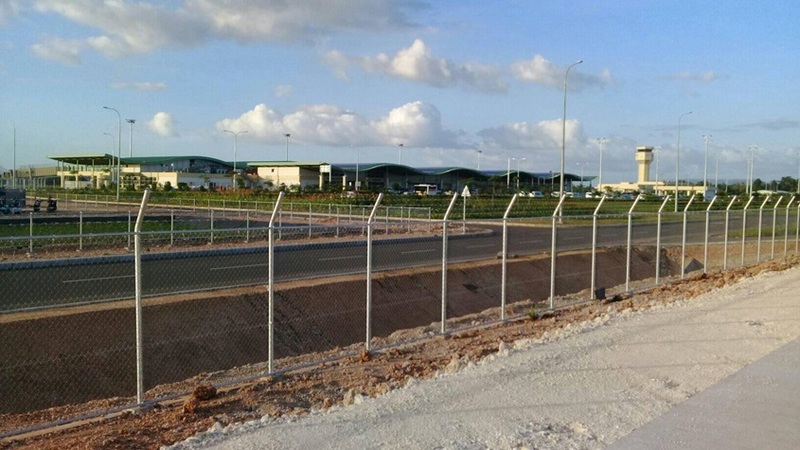 The public clamor for a much better management of the new international airport came amid apprehension that the longer it can be bidded to a private sector group, the airport’s facilities might deteriorate due to poor maintenance. Passengers noted that for several occasion they notice the escalator not functioning. The absence of concessionaires for restaurants and other services which are basic in an airport are yet to be established once the bidding will be completed. As of now, only a small kiosk is functioning as a mini snack bar. Aside from the airport management concerns, the new international airport likewise awaits for the installation of the navigational facilities as planes could not land during inclement weather with zero visibility. Meanwhile, highly reliable source told the Chronicle that the needed navigational facilities are targeted to be installed and functional by April or May this year.